Today, my family decided that we should go out for dinner since my father is around at home. My mother suggested going to the coffee shops opposite Bedok Vista, the new block of flats cos we saw on tv that e BlackBoard has shifted to one of the coffee shops there. I tried the Fish & Chips from the e BlackBoard. They had 10% discount so it cost $5.90 after discount. e BlackBoard is not a Fish & Chips shop so don't expect them to have vinegar for their F&C. But they gave me white vinegar when I asked for F&C vinegar. For F&C with black vinegar, I like those from Fisherman's Warf at clark quay. The fries are nice with the spices and the portion is rather generous. The serving plates are somewhat similar to Botak Jones'. 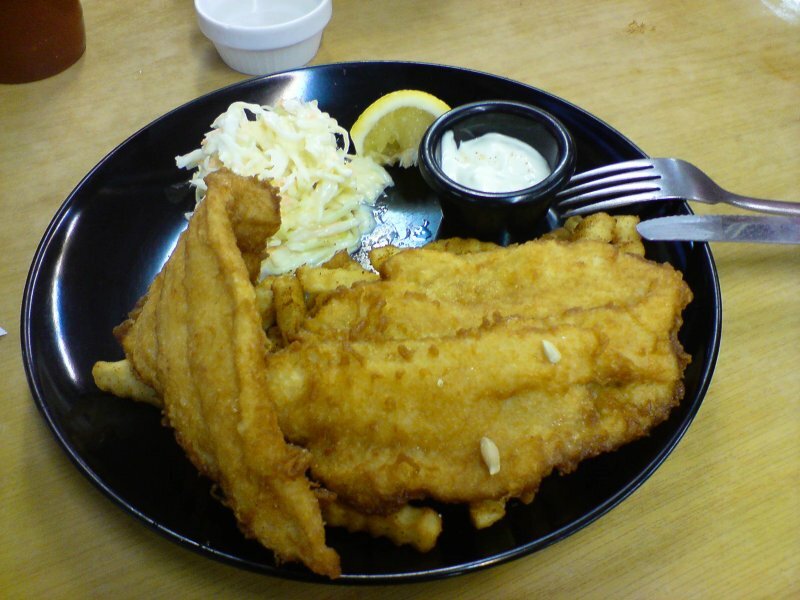 e BlackBoard's F&C offers 2 kinds: The regular ones which consist of 2 pieces of battered fish while the large ones consist of 4 pieces of battered fish. e BlackBoard at the coffee shop furthest away from the main road opposite the old Changi Cinema.